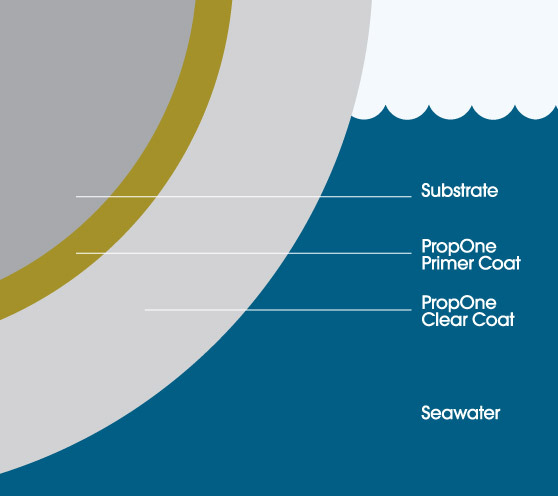 PropOne™ is proud of their accredited applicators. Accredited applicators are trained and supported by both Greencorp Marine and their local distributors. Should you wish to find an accredited applicator in your local area, please contact us and you will receive a list of applicators in your area. Lower temperatures or humidity will extend cure time. Minimum application conditions: 10°C (50°F), 55% RH. There is no maximum time to immersion, only a minimum time.